O Laureated head of Caligula right. 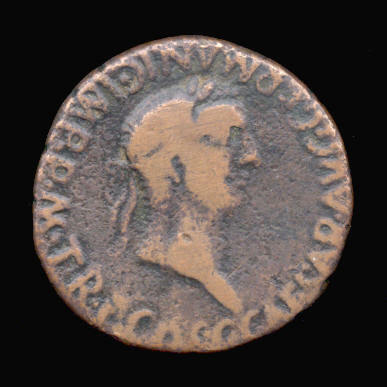 This coin is often listed as depicting Caesonia on the reverse. 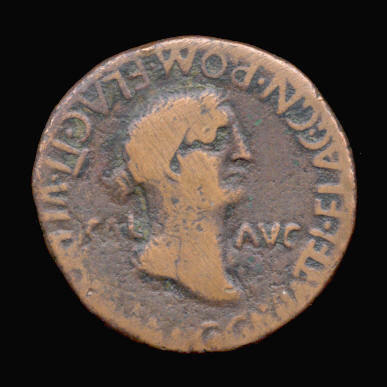 However, the titles acclaimed to Caligula indicate that the coin was struck during his first Consulship (37 AD) and during his first term as Tribunicia Potestas (37-38 AD). Caesonia married Caligula in 39 AD, thus it is quite probable that the attribution to Caesonia is incorrect. Close this window to return to coin listing. click here to return to listing of Greek Imperial Coins.